Novak, Berrached Win Global Impact Award W&L students Graham Novak '19 and Mourad Berrached '20 won a $15,000 prize at the 2018 Schulze Entrepreneurship Challenge. 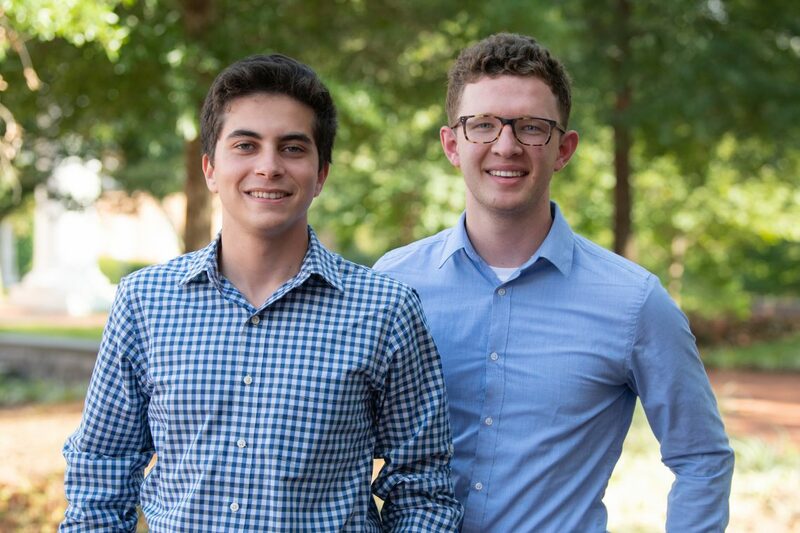 Washington and Lee University students Graham Novak ’19 and Mourad Berrached ’20 won the Global Impact Award at the 2018 Schulze Entrepreneurship Challenge for their work on Novak’s start-up company, NomadX. The award comes with a $15,000 prize. More than 145 student business plans were submitted to the conference, but only 25 teams were invited to attend. The conference took place in April at The University of St. Thomas in Minneapolis, Minnesota. The conference included collaborative sessions, with students paired together across universities. Professors were able to work together to help each other improve programs and explore alternative models for promoting entrepreneurship at their respective schools. NomadX is a tech startup co-founded by Graham Novak and Steven Allen ’18. It seeks to empower remote-capable workers to travel the world easily, seamlessly and inexpensively while providing career-changing professional development. Berrached worked with the company as a strategic marketing analyst to market their services to corporate clients, improve their social media brand and help NomadX develop their programs based on customer feedback. “We have plans to continue encouraging W&L students to submit their ideas as well as branching out to other competitions,” said Gavin Fox, associate professor of business administration at W&L and the team’s adviser. In November, NomadX was accepted as an Alpha company at the Lisbon Web Summit, the largest digital conference in the world with over 60,000 attendees. The company was also recently accepted by government-funded and supported Startup Lisboa, the number one startup incubator and accelerator in Portugal. At Washington and Lee, Novak majors in business administration and economics, while Berrached is a business administration major.